There's a lot of information to be found on this very forum! Please feel free to use the search function and ask any questions you can't find the answer to. The Ancient Egyptian Daybook by Tamara L Siuda is a very comprehensive list of Ancient Egyptian festivals, though it is not set to a modern calendar (you would have to do that yourself). There are some other sources, such as the "Egyptian Religious Calendar: CDXIX-CDXX Great Year of Ra (2019CE)" which I believe are set to a modern calendar, but I've never used them myself so I can't vouch for when they set Wep Ronpet or how accurate their festivals are. 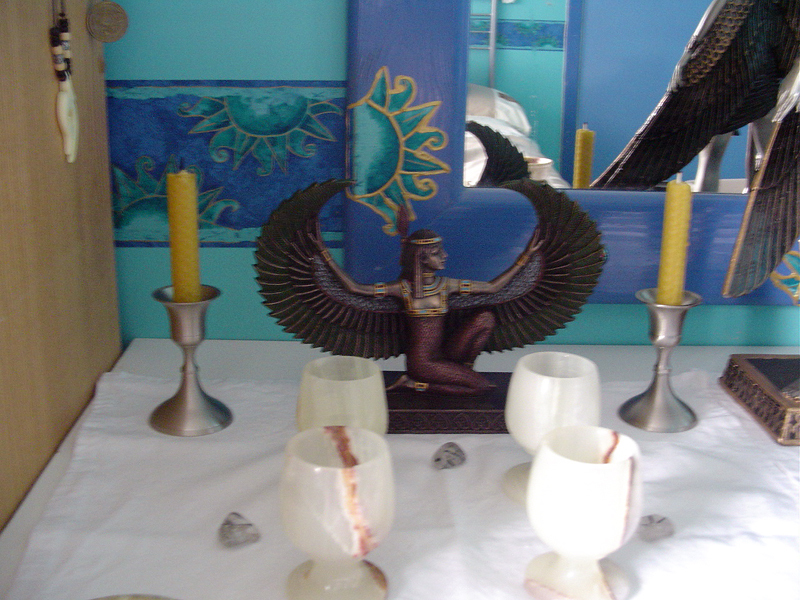 As for KO services and rituals, The Ancient Egyptian Prayerbook (again by Tamara L Siuda) contains, amongst other things, the Kemetic Orthodox ritual of Senut. This is in many ways the cornerstone ritual of KO, as all Shemsu are asked to perform it on a regular basis. Unfortunately neither of those sources are free, but the beginners class will allow you to learn much of what you're asking about and is I believe free (it has been a long time, haha). Note that the class is no-obligation, it is not a step to joining unless you decide that it is, and at any point before during or after the class you are welcome to decide KO is not for you. You are also welcome to stay on after the class as a Guest if you'd like. Tbh, I would be patient, and hope that this situation resolves and you can get parental permission. However, it may also be worth emailing Dr. Siuda/Hemet and explaining your situation in as much detail as you feel comfortable doing. I don't personally believe it will change anything, but I do think that adults being restricted from exercising personal autonomy (particularly if there are other factors in play causing that), is something Hemet should at least be made aware is happening. Ultimately Hemet's autonomy also matters here, but I think it's good if people who are in your situation make her aware so that she has all the facts. I recognise you Welcome to the forum. [PUBLIC] Welcome! / Re: Hello Everyone! Em hotep and welcome, I hope you enjoy the beginner's class! [PUBLIC] Welcome! / Re: Salutations! Em hotep and welcome Community and research, in whatever form they come, are two things I've found vital to my time as a Kemetic as well. [PUBLIC] Welcome! / Re: Hello all! Hello and welcome, I hope you enjoy the beginner's class! 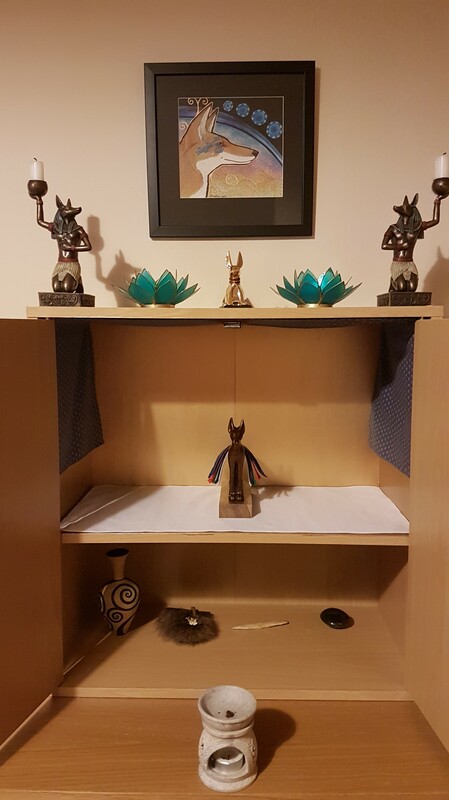 Here is my Senut shrine, apologies for the camera shadow. It hasn't changed much in all that time. 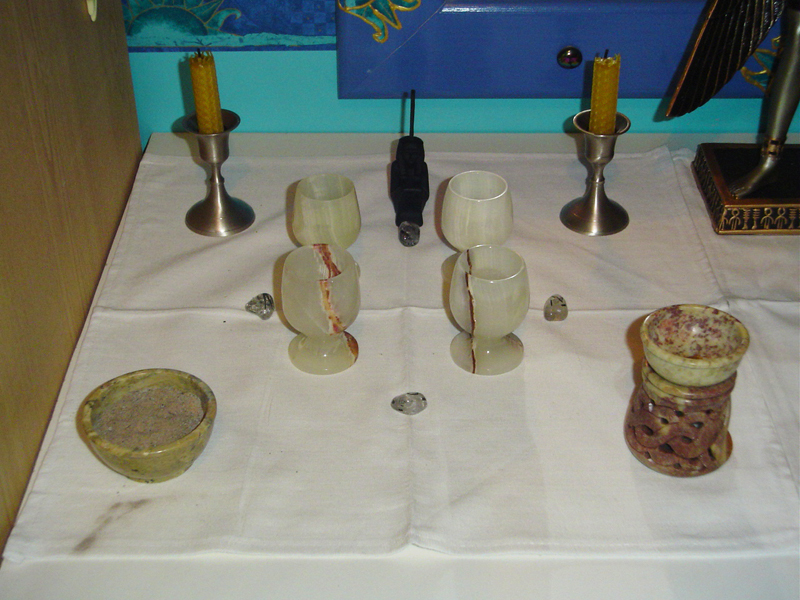 Here is my main working shrine to Wepwawet (and a close up). 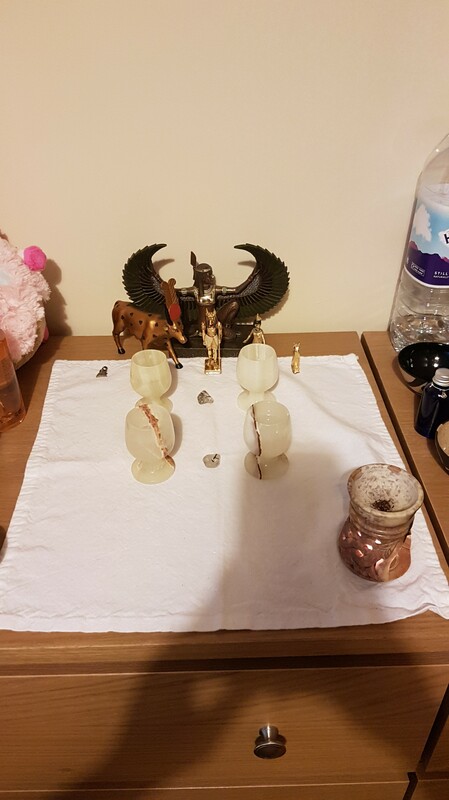 And finally, this is the little shrine that I keep in my living room, so that the Gods are near me and on my scattered mind. 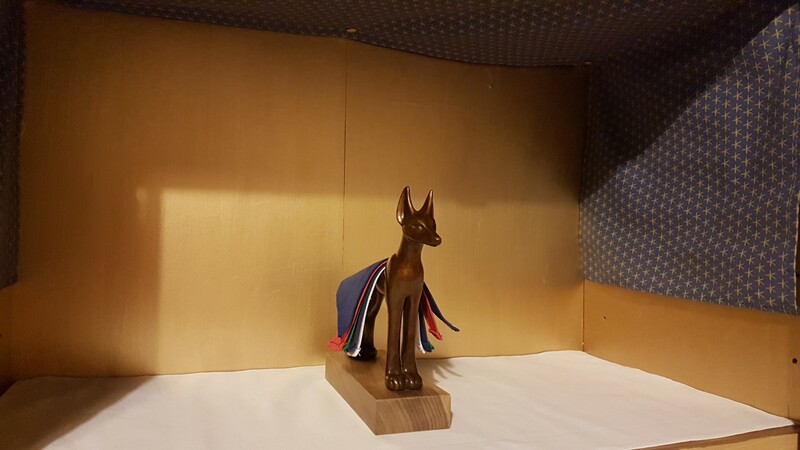 Ra-Heruakhty is too big to fit and sits on a shelf above the cabinet. 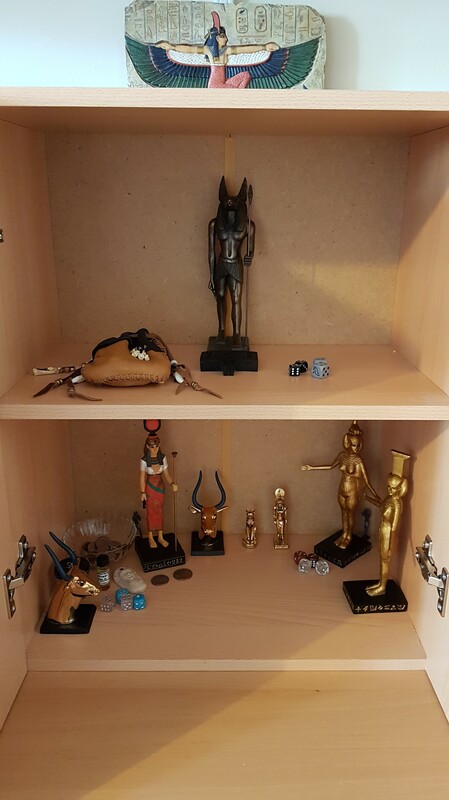 I also have a lot of shelves in my bedroom that I have an assortment of Gods and shiny things on, as well as my Akhu shrine and Wepwawet's non-working shrine. [PUBLIC] Welcome! / Re: Hey all, I'm daisy!